Avery staff will attend the ARLIS/NA annual conference in Toronto, Mar. 29- Apr. 2, 2012. Carole Ann Fabian, Avery Director, is the Conference Co-Chair for Programs and will also present an update on the Built Works Registry (BWR) — a collaborative Avery, ARTstor and Getty project. Now in its second year of development, the BWR project is funded by an IMLS National Leadership Grant. She is also the Co-moderator of the Future of Art Bibliography Initiative session at which Chris Sala, Avery Architecture Bibliographer, will be speaking on "Capturing the Web." 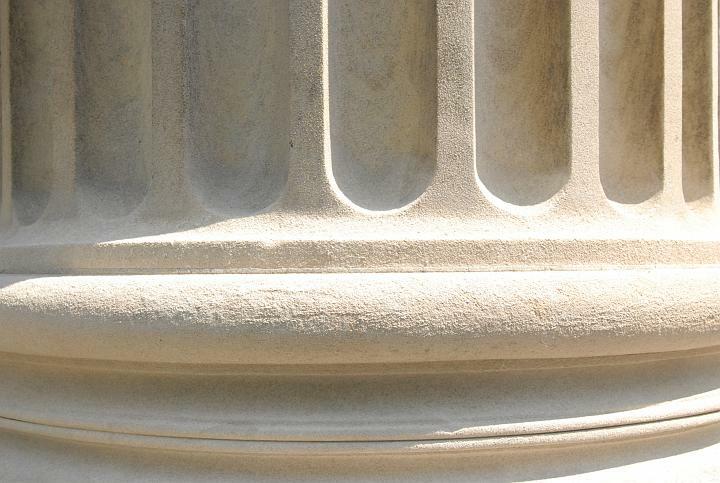 Ted Goodman will present an update on the Avery Index to Architectural Periodicals at a Friday afternoon session. He is also the outgoing Chair of the Finance Committee. 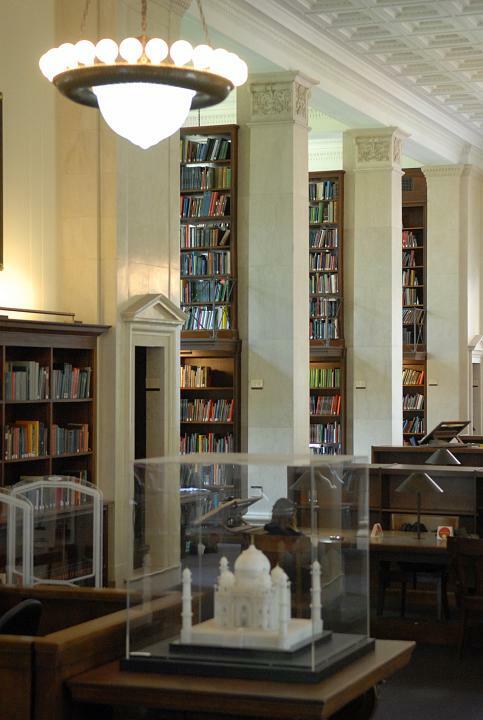 Kitty Chibnik will be the Moderator of a session titled "Hot off the List: current issues on ARLIS-L."
Paula Gabbard, Avery Fine Arts Bibliographer will be attending many sessions and meetings. This entry was posted in Avery Index to Architectural Periodicals, Avery on the Road, Avery Staff news, Built Works Registry on March 29, 2012 by Ted. Architect Wallace K. Harrison visited New York's Allied Arts Exhibition in 1931, and purchased the Aluminaire House for $1,000. Built of steel and aluminum, it was designed by Albert Frey and A. Lawrence Kocher. 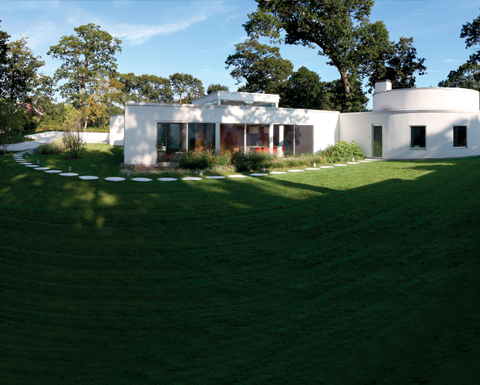 He had it dismantled and transported to a 25-acre site he had purchased in Huntington, Long Island, to serve as his weekend home. Avery Library Drawings and Archives collection has photos and drawings of this house which were used in the recent article titled "Falling for Modern" by Andrea Truppin in Modernism Magazine Spring 2012, v.15, n.1. photo. by Javier Haddad and Lenny Marks. This entry was posted in Avery in Print, Drawings & Archives on March 21, 2012 by Ted. 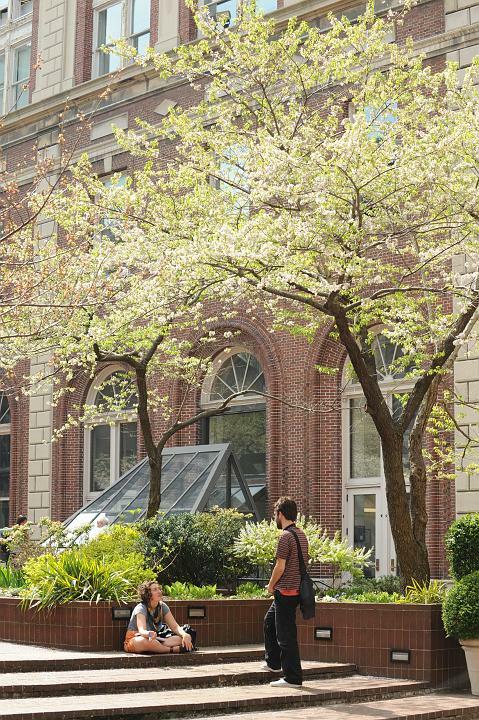 Avery Library congratulates NY Times Streetscapes column on its 25th anniversary Mar. 17!! A wonderful column about the history of New York architecture and real estate it provides a valuable tool for readers conducting research or simply interested in preservation and architecture. Christopher Gray, column editor, frequently uses Avery Library material and his researcher, Suzanne Braley, is well-known in Avery. This entry was posted in Drawings & Archives on March 20, 2012 by Ted. Ready to dive into studying? Here are our hours for the remainder of the semester. This entry was posted in Access Services on March 19, 2012 by Ted. We hope you enjoy Spring Break! Check here for our hours. This entry was posted in Access Services on March 12, 2012 by Ted. Magda Danysz ; in collaboration with Mary-Noëlle Dana. 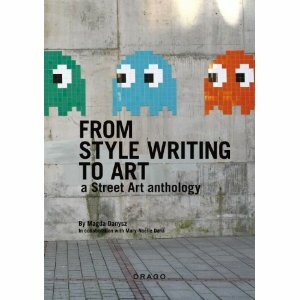 From style writing to art : a street art anthology / 2. ed. 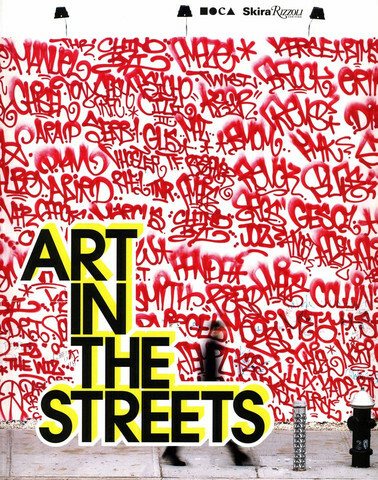 This is the first street art anthology ever published with the goal of exploring the reasons why style writing, as some call it, graffiti, or street art is turning out to be the major contemporary art movement. From graffiti pioneers in the 60s, to how street art branched into the art world during the 80s, to whatever new issues and practices have emerged since the 90s, this book covers it all. Each period is complete with 2-3 page biographies of each artist considered, covering their beginnings, their artistic career, along with a personal style review, as well as an artwork analysis section. The book offers 50 profiles of top street artists including Futura, JonOne, Shepard Fairey, Quik, Blade, Doze Green, and Keith Haring, whose work and career is thoroughly explored. There is major talent in the history of graffiti. And this talent is, in the end, the only answer to the infamous “But… is it really art?” question. Out of this both compact and diffuse form of expression, real art practices have emerged, absolutely unquestionable in terms of quality and longevity. Pascal Zoghbi, Stone aka Don Karl, Edited by Joy Hawley. Berlin, Germany : From Here to Fame Pub., 2011. Without regional borders or constraints, 'Arabic Graffiti' references the use of Arabic script in urban context. It showcases artists, graffiti writers and typographers from the Middle East and around the world who merge Arabic script and calligraphy styles with the art of graffiti writing, street art and urban culture. The project offers many different, diverging and at times contradicting ideas and approaches to treating this sensitive tradition with contemporary vision. 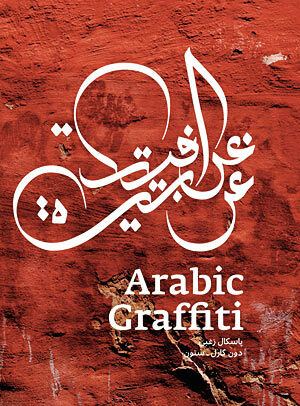 To accompany a visual assortment of styles, the book includes several crossover topics, such as classical and contemporary calligraphy, Arabic typography, political graffiti and street art. Curated and authored by Lebanese typographer Pascal Zoghbi and Don M. Zaza, aka Stone (Cubabrasil, From Here to Fame Publishing), 'Arabic Graffiti' also features essays by various writers and artists working in this field. 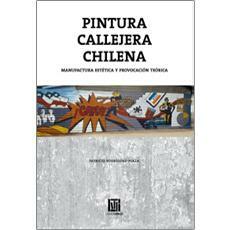 Pintura callejera chilena : manufactura, estética y provocación teórica. Santiago de Chile : Ocho Libros, c2011. Rodriguez Plaza analyzes from aesthetic, anthropological and sociological perspectives, street paintings and graffiti in Chile since 1963, when the first mural of political propaganda was created in Valparaíso. The brigades Ramona Parra, Chacón and Camilo Torres; the incursions of professional artists; the accusations of abuse during the regime of dictator Pinochet in 1963 and the Hip Hop culture are some of the topics of the book. This text is an analytical proposition regarding a type of work and expression, simultaneously banal and particular, created in public spaces and surfaces of contemporary Chile. The city insinuates and transfigures the artisanal traditions, today interlaced with the popular and massive. Street art (murals, graffiti, street writings) is an artistic expression that reflects the chaotic movement of the city through images inspired in comics, television and other mass media images that gives them a popular-mass and ephemeral character. Jeffrey Deitch, organizer with assistance of Roger Gastman and Aaron Rose. New York : Skira Rizzoli ; Los Angeles, Calif. : MOCA, 2011. The exhibiton Art in the Streets opened April 2011 at the Museum of Contemporary Art, Boston, and will travel to The Brooklyn Museum March 30, 2012. Its comprehensive catalogue on the history of graffiti and street art traces the birth and dissemination of styles through the stories of graffiti writers and street artists all over the world. It features interviews and discussions with influential street artists about wild style, cholo graffiti, and the art that emerged from skate and punk subcultures. Additional contributors include Fab 5 Freddy, KET, Caleb Neelon, Lydia Yee, Kathy Grayson, Cheech Marin, Bill Daniel, and Hiroshi Fujiwara. London ; New York : Merrell, 2011. Since the early days of the graffiti movement in New York, street art has transformed cities around the world. Today it is hugely popular, yet is still a highly controversial art form. Cedar Lewisohn provides a vibrant account of the ‘outer limits’ of street art and graffiti that are being explored by artists in cities as diverse as London, Prague, Philadelphia and São Paulo. The work of these artists is ‘abstract-not necessarily in the sense that it is non-figurative. Rather, in that it may embrace a fresh, abstract approach to art. 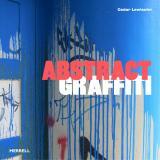 Lewisohn interviews both established graffiti artists and new practitioners of avant-garde forms of art in public spaces – such as Knit Graffiti and Street Training – and traces the art-historical lineage of these abstract trends. Addressing such issues as street art as a form of protest, graffiti as a crime, the place of street art in museums, and the evolution of materials, this book offers unrivalled insight into some of the most exciting and challenging work on the contemporary art scene. This entry was posted in Bibliographic Services on March 5, 2012 by Ted.